PORTLAND – The Warriors kept two roster spots open all summer. One was for flexibility, the other for Patrick McCaw. For months, as he stayed away from the team, there were not any credible threats to steal him away in restricted free agency. 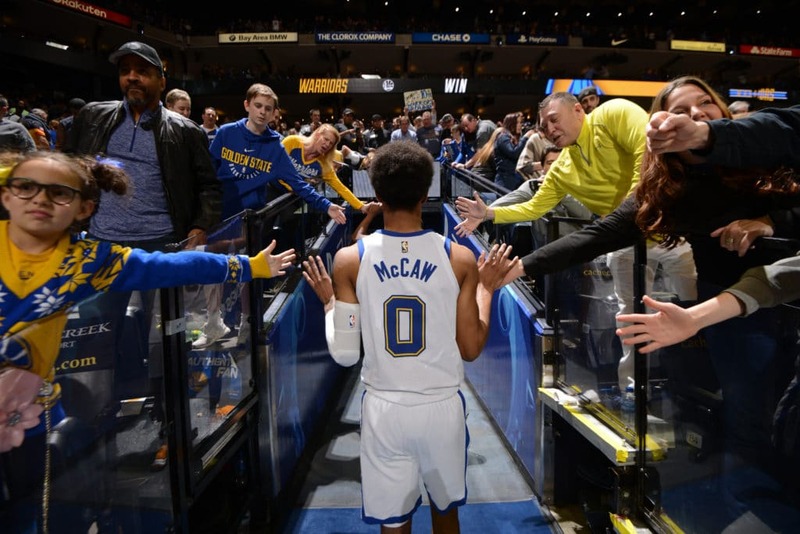 In an interview five days before, Steve Kerr has plans to give McCaw more minutes this season as part of the franchise's desired youth movement. Even as the standings dragged on, the Warriors kept his nameplate up in the Oracle Arena home locker room, where it still hung, right next to Steph Curry's Loose, as recently as Thursday night. ga ('create', 'UA-72907525-1', 'auto'); ga ('send', 'pageview'); !